Paying kickbacks to doctors in order to get patient referrals is considered Medicare fraud and illegal. It’s also bad for patients. Unfortunately, many hospitals continue to engage in elaborate patient kickback and referral schemes. The latest hospital to get caught is the South Shore Physician Hospital Organization. Based in Massachusetts the hospital group must now pay $1.775 million to settle claims brought by the United States Department of Justice. Prosecutors in Boston say the group operated a “recruitment grant” program that paid kickbacks to its physician members in exchange for patient referrals. Last week the hospital group and its affiliate South Shore Hospital, Inc. admitted the kickback scheme. 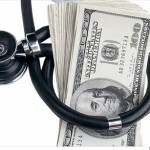 33 different physicians or medical practices received the kickbacks. As part of the scheme, the hospital group paid “recruitment grants” to the doctors in return for patients referrals. In recent years, hospitals have grown more sophisticated in the ways they attempt to disguise kickbacks. In this case, South Shore developed an elaborate grant program. Just like the popular saying about putting lipstick on a pig, a bribe is still a bribe no matter what you call it or how it is diguised. Medicare fraud comes in many forms but patient referral schemes are particularly bad for patients. In passing anti-kickback legislation, Congress feared that some physicians would refer patients to hospitals or prescribe certain medications not because it was in the patients’ best interests but simply because the doctors received a kickback. Kickback schemes also lead to higher healthcare costs. In announcing the settlement, Boston’s U.S. Attorney Carmen Ortiz said, “Unlawful patient referral schemes not only limit patient provider choices, but ultimately lead to higher health care costs. Most Medicare fraud cases are initiated by whistleblowers; men and women who grow weary of fraud and watching patient care suffer. This case appears to be different. From information obtained from the Justice Department, it appears that South Shore self reported the violation. If accurate, we applaud South Shore. Self reporting makes good economic sense. 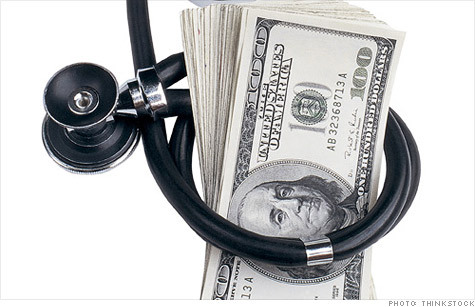 Companies that self report Medicare fraud get a big break on penalties. Had the violation been reported by a whistleblower, the hospital group faced triple penalties and the whistleblower would have been eligible to receive a percentage of the government’s recovery. MahanyLaw is a boutique law firm concentrating in whistleblower cases under the federal False Claims Act and other laws. We have brought several, billion dollar whistleblower cases. Not every case is that large but every case is equally important. If you have inside knowledge of Medicaid or Medicare fraud, give us a call. Successful whistleblowers can earn up to 30% of whatever the government recovers. With triple damages and special damages of up to $11,000 for each “false claim” submitted by a healthcare provider, the recoveries can be huge. or by telephone at (414) 704-6731 (direct.) All inquiries kept in complete confidence.